Smarties, I proudly wear the badge of knowing all things lobster-rolls! I have earned this right by spending the last 18 + summers traveling the Maine coast in search of the perfect lobstah roll. I am excited to report, we have one right here in our backyard and it is called Cousins Maine Lobster. This lobster roll is the real deal! You are probably thinking… what makes a lobster roll so special? Lobster, mayo, a bun —> Voilà, you have a lobster roll. Yes, those are the basic ingredients. But, it all comes down to these three things: how well you cook the lobster, preparing the lobster meat, and the bun! Let’s start with the main ingredient: LOBSTER. First, the lobster needs to be fresh and cooked to perfection. When cooking lobster, you have to time it just right. Seems easy enough. But, overcooking a lobster happens more often than not. Have you every eaten a lobster that has been cooked too long? The meat comes out chewy and sometimes tough. Second, the Lobster should always be fresh. If it isn’t fresh it will have an overwhelmingly salty flavor. Trust me, you will know it STRAIGHT AWAY! Lobster is not like crab — the saltiness does not enhance the flavor. It is just the opposite. Third, lobster meat preparation. Warm with butter or cold with mayo. Connecticut style: the meat is prepared warm with butter. Maine style: the meat is chilled with a smidge of mayo on the bun. For me, this can be a deal breaker! It has to be a New England top split bun. There is a whole article dedicated to the perfection of this bun in Yankee Magazine. Now, let’s get back to Cousins Maine Lobster. Smarties, they did everything right. 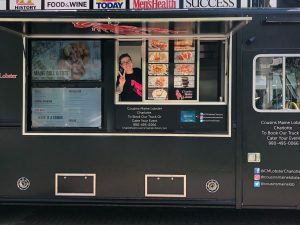 At first, I was leery about trying lobster from a food truck in the middle of Charlotte. But, a couple days earlier, I had just seen a picture of one of my favorite Mainers (Patrick Dempsey) praising Cousins Lobster. So, I decided to give it a try. McDreamy wouldn’t lie. So glad I did —> Best decision EVER. They made my lobster roll EXACTLY like my favorite Lobster Shack in Maine. E-X-A-C-T-L-Y! 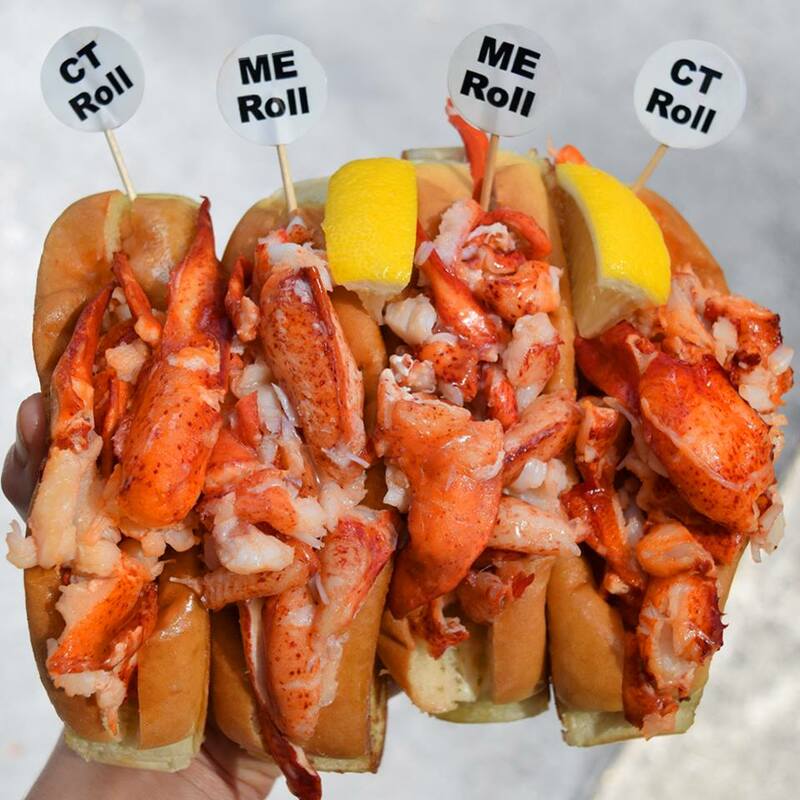 The New England split roll was doused with butter, grilled on both sides with fresh lobster meat that was chilled to perfection. The juxtaposition of the buttery hot bun with the cold fresh lobster – nothing short of AHHMAZZING! I had to take a break in between bites, because, I did not want this experience to end. Lobster rolls aren’t the only thing on the menu. 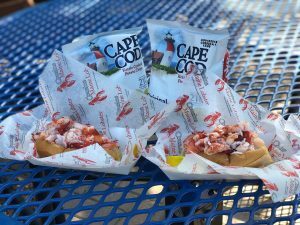 They also serve Lobster Tacos, Lobster Quesadilla, Lobster Tots, Lobster Grill Cheese, Lobster Tail & Tots, Shrimp Tacos, New England Clam Chowder, Lobster Bisque. * Gluten free options available upon request. 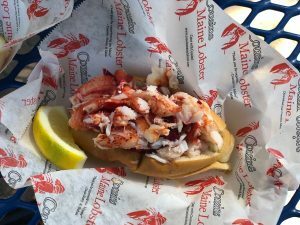 This review is based on the Cousins Maine Lobster Food Truck located in Charlotte, NC. 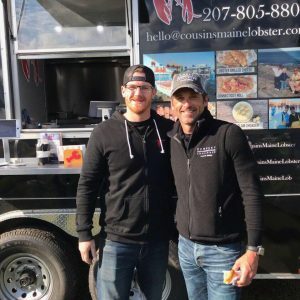 *Feature image is from Cousins Maine Lobster’s Facebook page.